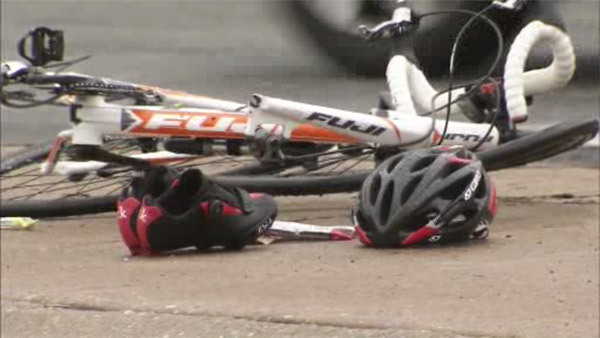 LOWER MERION TWP., Pa. (WPVI) -- Two bicyclists were hurt after a crash along City Avenue in Lower Merion, Montgomery County. The crash happened after 8:30 a.m. Saturday near Presidential Boulevard. Police say a Buick Lacrosse travelling south struck two bicyclists. The operator of a white Fuji bicycle suffered significant injuries from the crash. He was taken to Jefferson University Hospital, and is listed in stable condition. It's not clear on what caused the accident.